You’ve got to hand it to Brown to pick some of the most obscure and unknown field areas and make them interesting enough so that you’ll google them to find out more. Being a symbologist always sounds like fun. I wish it was a real career. His books always read like some guide book but much more thrilling and exciting. You can tell in his stories that Brown has a passion for books, its beauty and history. 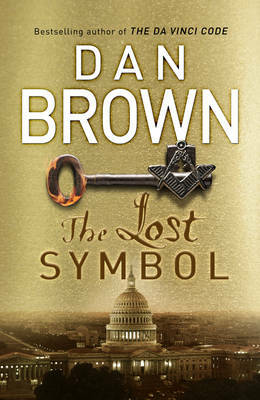 It was quite funny to see some in-jokes about the success of The Da Vinci Code and have Brown make little digs about himself. The Lost Symbol was a fairly decent read. I certainly didn’t feel like I wasted my time. There were really interesting stuff going on and there was good suspense. However, I think the book could have easily been shorter. The suspense kind of fizzled out after three quarters and Brown does that really annoying thing that T.V programs do when they want to draw the suspense unnecessarily – suspense, commercial, repeat the suspense, commercial, repeat the suspense again (because viewers apparently have three second memories and all day) and then reveal. This has a much more subdued tone compared to The Da Vinci Code and is not as thrilling. There were some interesting ‘facts’ with many little lectures peppered throughout the story which I didn’t mind (being the geek that I am) but at times Brown sounded far too enthusiastic about pointing how great and misunderstood the Freemasons are that made me question whether if Brown was a Freemason himself. The ending, though, was really drawn out and I ended up just skimming over it. Edit: Changed the title from ‘review’ after I realised this isn’t really a review.